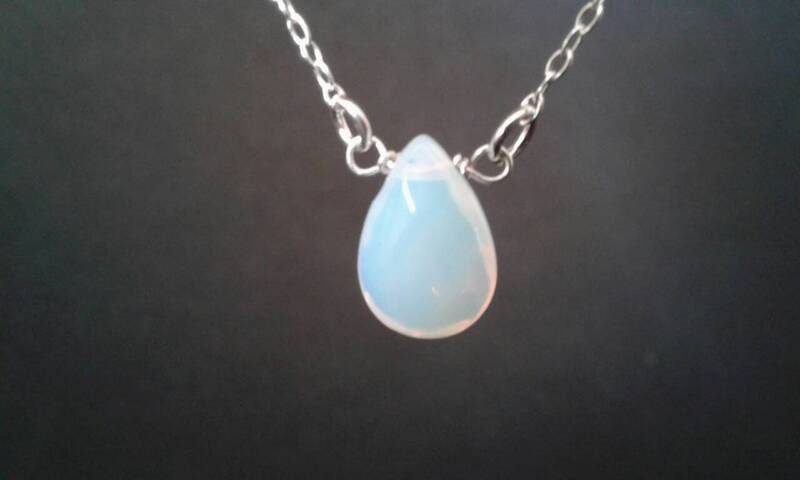 Faceted opalite moonstone peardrop necklace in sterling silver. Set in a fine silver chain which measures 47cms (18 4/8 inches) long. If you would like the necklace to be longer or shorter please ask. 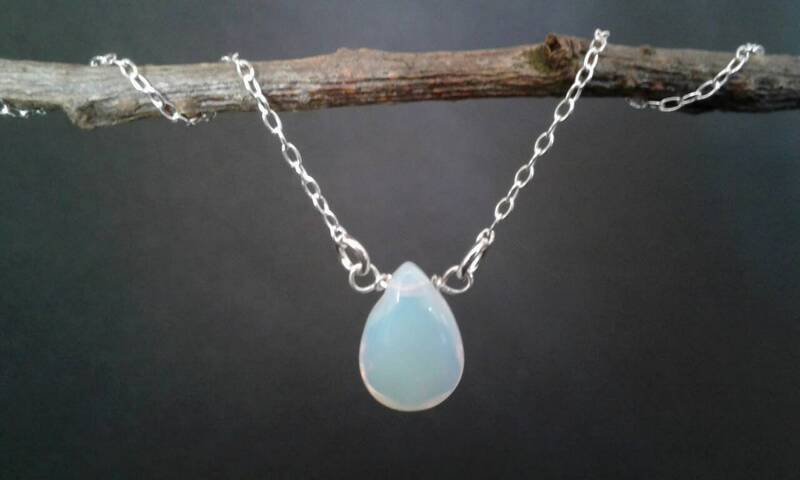 Designed to match the opalite moonstone circlets circles and necklaces in my shop.